Next post: Oh yes I am wearing my third carry-on item and there’s nothing the airline can do or say about it! Old lady-ish? That doesn’t sound good. And something tells me this is not what a thirteen year-old boy has in mind when he’s on summer vacation. So I asked my mother to elaborate. “I think the thing that may have made it seem old lady-ish was the flowered comforter,” she said. I don’t know about you, Carole, but location, for me, is everything, regardless of a floral comforter! 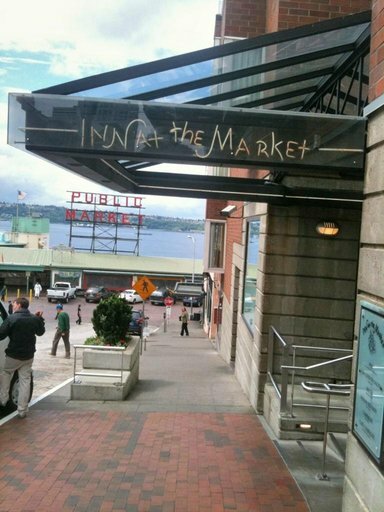 And I can’t think of a better place to be in Seattle than right next to Pike’s Market. Yeah, it’s touristy, but so what! I love that place. All flight attendants do. It’s always a big part of our layover routine.